Fundraising in London – it’s always good to be back in London for this 2nd quarter of fundraising activities. It’s a busy quarter but in a completely different way than our ‘business’ in Tanzania. In Tanzania I deal with people of the village, the village committee, the pastor of the church, the headteachers and especially the children. It’s always a pleasure as they open my eyes to a different way of life. Here in London the pace is completely different. I’ve heard that a definition for a Londoner is someone who has to be somewhere else. In Tanzania the pace is much slower, more relaxed. People don’t seem to be in a hurry. It’s a reflection of day-to-day continuity. Although less well-off than we are here, still people seem to be smiling at the drop of a hat, relaxed and very much living in the moment. I normally don’t like to compare cultures. People here say that the challenges in Africa are great and sometimes seem insurmountable. The challenges here I think are equally great. We only have a different set of hurdles to jump! While attending to this quarter’s fundraising events I have had the privilege of meeting many new people. The first event came on a wet and blowy Sunday at the Merton Dogwatch, an event that grows year on year. Although we only made a few sales we received a donation from the organisers to kick off our fundraising. I see these events as our shop window to fundraising. People always come and chat and always show an interest. Some even donate there and then. We are very grateful, of course, for any donations. While at the Merton Dogwatch I met the organiser of the Sutton ‘Picnic-in-the-park’. I have been looking for a new venue and only had to wait until it came our way. The picnic was very much a sunnier, warmer event which of course brings everyone out! Again, folks showed much interest and we had a promise of a donation from another charity organiser – a new event to add to next year’s fundraising. 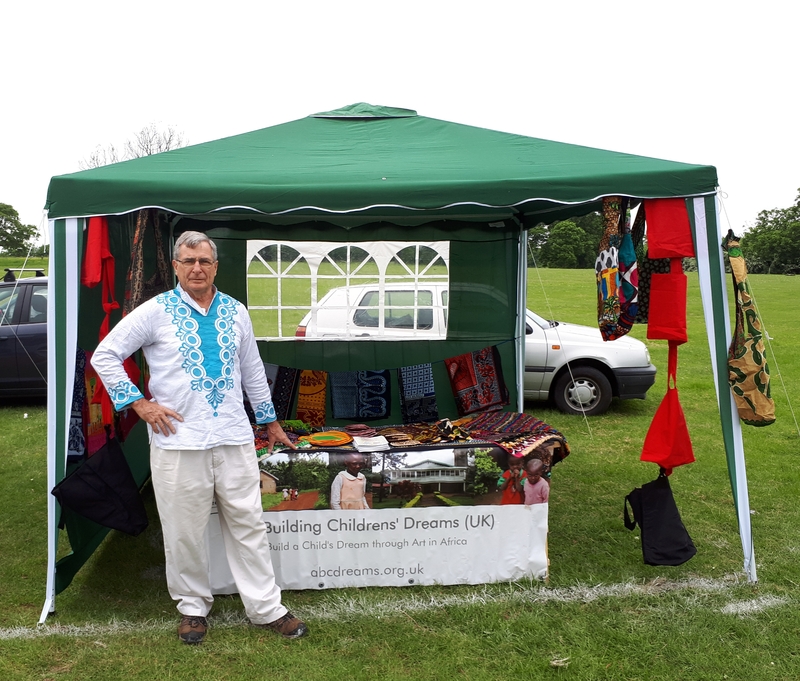 Unfortunately, and it does happen, I set up for Mitcham Carnival for the first time but on a very windy Saturday in June. Just as the event was due to start the wind took away my new gazebo! I had to untangle the guy ropes and take down what was left. Sorry I didn’t take any pictures! Better luck next year. I had been looking forward to this event as Mitcham is where I settled after first coming back from VSO duties in Tanzania. We still have one big event, though. Coming up is the Morden Family Funday – always a great venue normally attracting around 5000 people! 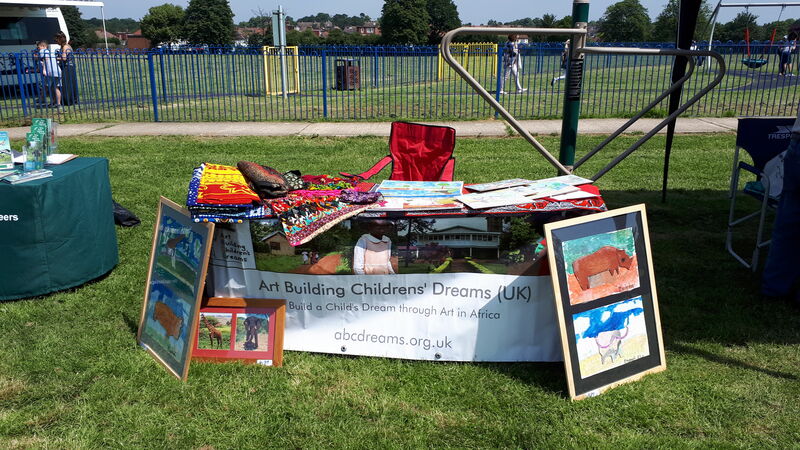 The Funday’s sole purpose is to raise funds for local charities, from which ABCDreams (UK) regularly benefits. Let’s hope it’s not such a windy day! Terrific, newsy interesting post john.